ISLAMABAD, April 9, 2019: “The Finance Minister has left for IMF meetings without taking the parliament or its Finance Committees into confidence. 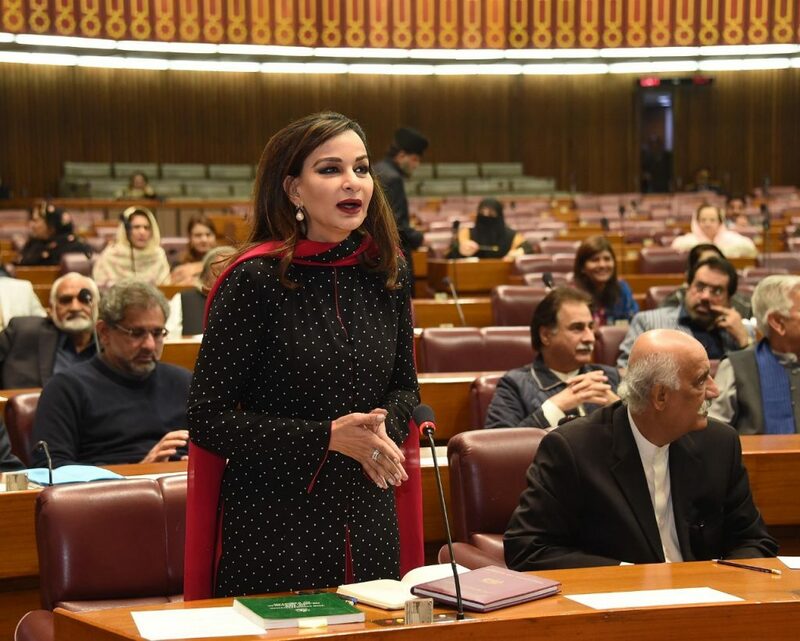 Despite our regular demands to brief public representatives who are facing a terrible barrage of questions from the people, he has refused to do so, preferring TV and digital platforms to convey his confusing message,” PPP Parliamentary Leader, Senator Sherry Rehman said. “Frankly, his mixed messaging about the state of the economy over the last few days has been quite irresponsible, especially when he says one day that we are close to bankruptcy and the next day contradicts that completely by suggesting that all is well and deficits are narrowing. It is due to this bizarre, schizophrenic messaging that the markets are in a cloud of uncertainty and volatility. Instead of stabilising the economy the Government is creating more uncertainty and investor-confusion,” Rehman added. “He has already said that the public should expect harsher measures in the days to come, and in this new era of complete non-transparency, the government looks like it has been on an IMF prescribed path for several pains as it inflicts utility price bomb after price bomb on the people. Is the ‘tabdeeli’ naya Pakistan was about? Of constantly hiding from the people the harsh economic plan they are imposing on an unsuspecting public without disclosing to parliament their details? Every day petroleum, gas and other prices were going up but the government just says you will scream some more from the pain. It holds the opposition accountable but refuses to be answerable itself to anyone except external actors and lenders,” lamented Rehman. Further, following government’s announcement to introduce a new tax amnesty scheme, the PPP Vice President said, “The government says its strategy focuses on fiscal discipline but then goes on to offer incentives for staying outside the tax net. The FBR is facing a Rs. 318 billion shortfall. Instead of broadening the tax base or improving collections, they are relying on old tax whitening schemes which reward the rich and penalise the poor. On this front Sindh government has outperformed the centre”. Taking note of the findings in the new World Bank report which paint a grim outlook for the economy forecasting low GDP and high inflation in the coming years, she said, “They never seemed to have their priorities sorted and there was a clear preference for settling political scores while economic policies were put on the backburner”. The World Bank report has forecasted a sharp dip in the GDP growth from 5.8 percent in FY18 to 3.4 percent in FY19. More worryingly, the report, taking into account the government’s policies, predicted growth slowing down to 2.7 percent in FY20 which will be the lowest in South Asia.